*Requires internet service and connection to Nexia. **Nexia Remote Climate Access is included with the purchase of a connected control. Adding smart home accessories to your Nexia system requires a monthly subscription, internet service, and a connection to Nexia. 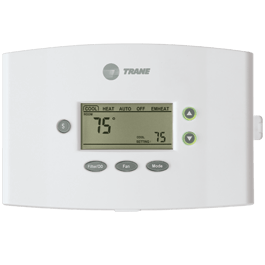 The Trane ComfortLink™ II XL950 Wi-Fi thermostat control is an advanced command center that puts your comfort literally at your fingertips. For cleaner air on demand, the Trane ComfortLink™ II Control can boost your systems filtered air output for up to three hours using the Quick Clean setting or 24 consecutive hours using the Allergy Clean setting. Not only does the ComfortLink™ II XL950 thermostat control monitor indoor and outdoor temperatures, so you can adjust your system to be energy-efficient, but it also tells you when it’s time to change a filter or schedule routine maintenance. 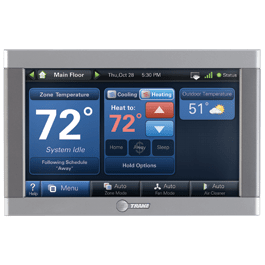 Utilize this digital control and Wi-Fi thermostat’s 7-inch, color, interactive touch screen that is both a HVAC command center and digital picture frame. Compatible with ComfortLink™ II Zoning which provides room by room control. Take advantage of the five-day weather forecasts, local radar images and severe weather alerts. Remote access via Internet-enabled computer, smartphone or tablet. 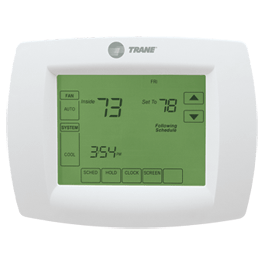 Take control of your home's heating and cooling system comfort and energy usage with the Trane ComfortLink™ II XL850 Control. 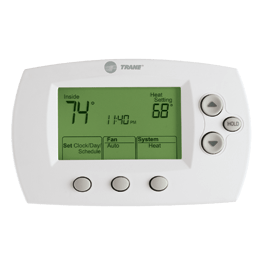 The intuitive interface and powerful features incorporated into the compact design of the touch-screen control represent the latest in climate control technology. ComfortLink™ II automatically configures and calibrates the system for optimal performance and efficiency providing you precise comfort control not just at startup but throughout the life of your investment. Remotely adjust and monitor your heating and cooling system from most web-enabled smartphones, tablets and computers when the control is connected to Nexia™ Home Intelligence. ** Requires high speed router and connection to Nexia™ Home Intelligence. 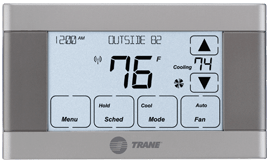 Take control of your home's heating and cooling system comfort and energy usage with the Trane XL824 control. 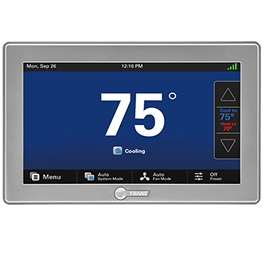 The intuitive interface and powerful features incorporated into the compact design of the touch-screen control represent the latest in climate control technology. 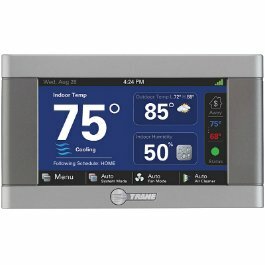 Connect the XL824 to Nexia™ Home Intelligence and remotely adjust and monitor your heating and cooling system from most web-enabled smartphones, tablets and computers. Compatible with conventional heating, cooling, heat pump and dual fuel systems. With upgradable software, humidity sensor, filter service and maintenance reminder alerts this Z-Wave control allows you to manage your home comfort from wherever. 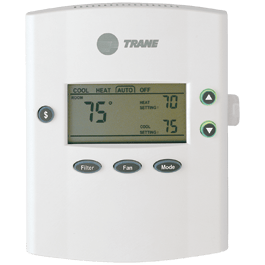 Let a Trane non-programmable thermostat take care of your home’s comfort. So you can relax and enjoy the day or night any time of the year.